Christmas is creeping closer and closer and if you are looking for the hottest gifts of the year to give your child, you have got to check out these great gift ideas from VTech! They have gifts for every kid on your list! The new Baby Amaze doll line assists the preschool set in developing speech, reading and caretaking skills with the Learn to Talk & Read Baby Doll and 3-in-1 Care & Learn Stroller. 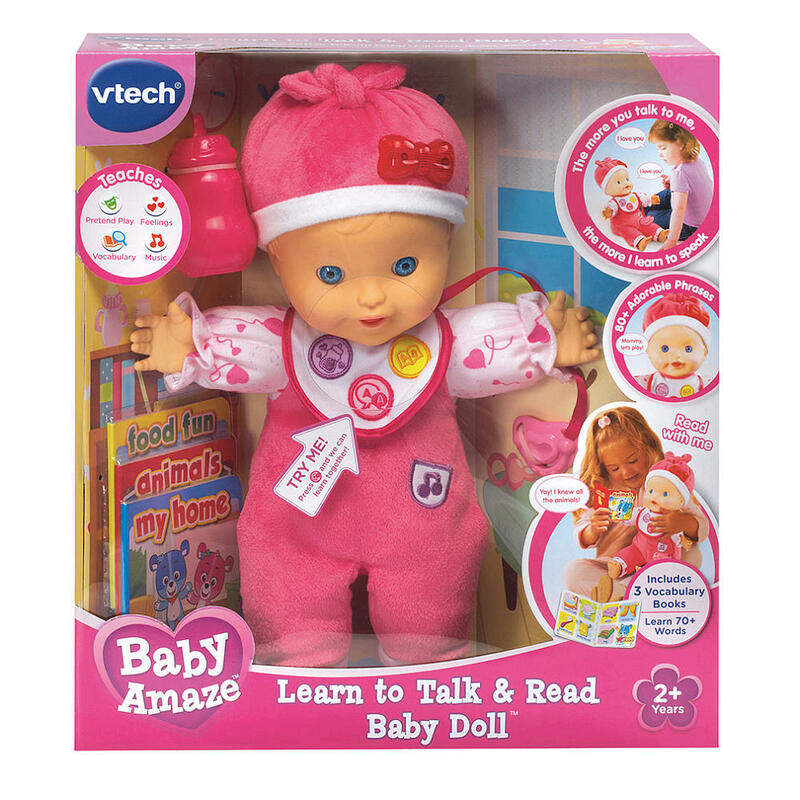 Little ones can talk to the baby doll and hear her repeat what they say, or read from the three included vocabulary books featuring more than 70 words. The more little ones talks to the baby doll, the more the baby doll will learn. The baby doll also encourages nurturing role play by asking a child for her pacifier, bottle and more. Press the four buttons on the baby doll and put the bottle or pacifier in her mouth to explore all of the fun interactive activities. For ages 2-5 years old. 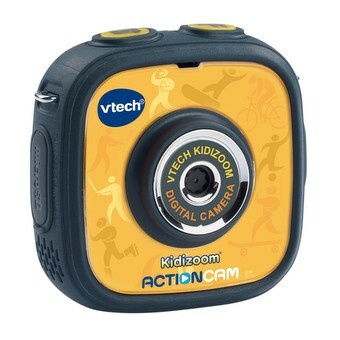 The Kidizoom line continues to grow with the Kidizoom Action Cam, one of the hottest toys of the year. The Action Cam is a great first video and photo camera for kids and is durable enough to handle drops and tumbles. It can go anywhere kids go, and do anything kids do with two included mounts so they can attach it to their bike, skateboard and more1, making it perfect for interactive play and capturing life’s adventures. 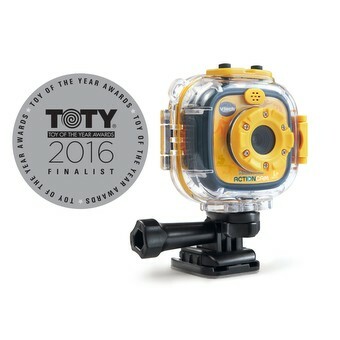 It also comes with a waterproof case so they can take videos and pictures up to 6' underwater – perfect for budding snorkelers and splashing fun. 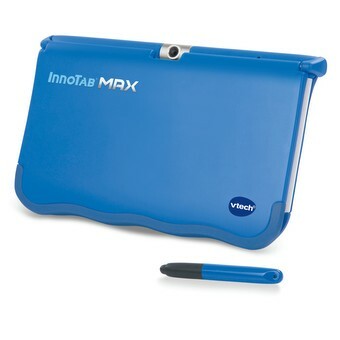 InnoTab MAX gives children the best of both learning worlds. VTech’s 4th generation kids’ learning tablet features its fastest processor yet with up to six times the processing power of previous generations, a 7" high-resolution display, Android operating system and a huge existing library of age-appropriate apps plus hand-picked Android learning games. 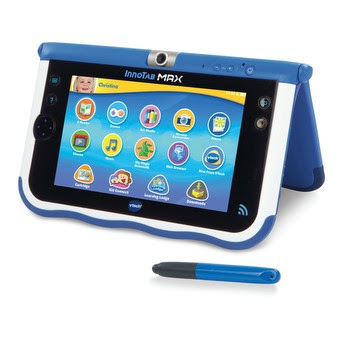 The apps, featuring a well-rounded curricula of language arts and reading, math, science, social studies, problem solving and creativity, and have been reviewed by VTech and its Expert Panel, so parents know their child is getting learning content that is kid-friendly.